Our graduate pool is an invaluable resource for any airlines who are recruiting newly qualified pilots. 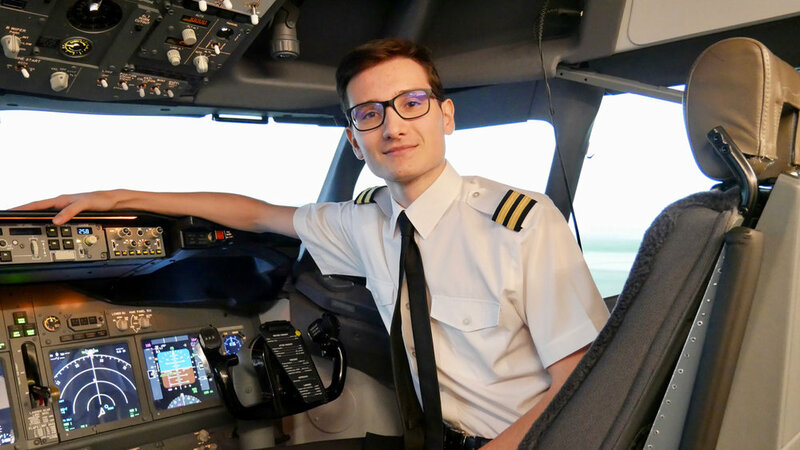 The cadet pilot recruitment market is becoming increasingly competitive, and many airlines are now pro-actively seeking out the highest calibre candidates, rather than waiting to receive applications. VA graduates have not taken the easy option. Instead, they have chosen to invest in completing their flight training with the most challenging and comprehensive multi-crew training available, with a strong focus on airline preparation and type-rating readiness. The AirlineReady® APS MCC provides 'enhanced MCC training to Airline Pilot Standards' and it was the first APS MCC course to be approved in the UK. The APS MCC course structure is intended to benefit airlines by training new pilots to a much higher level than the MCC/JOC it replaces. The new format and content are more relevant to modern airline operations, and better prepare pilots for type rating. When recruiting newly qualified from the AirlineReady® Graduate Pool, you have the option to enter them into Type Rating Training on the A320 or B737 straightaway, providing continuity of training and the fastest possible time to flightdeck. VA has trained more pilots to EASA's new ‘Airline Pilot Standards' than any other ATO in Europe. For more information on recruiting from the AirlineReady® Graduate Pool, please call us on 01223 979737 or send us a message.